The world of philosophy and spiritual awareness is a 7’s domain. 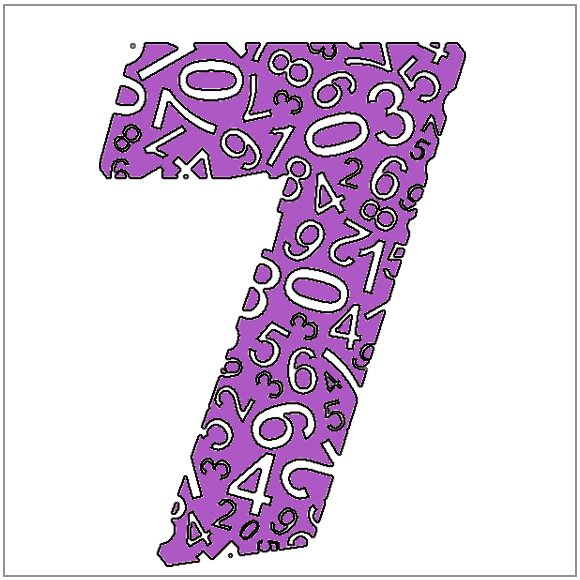 People with the Sun Number 7 don't take anything at face value and tend to search for a deeper meaning in everything. Changes don't bother a 7, but the seeming apathy for change sometimes means they don’t get the attention they require. A 7 may be an introvert hiding an extrovert or vice versa, either way, both sides exist within this person. They are dreamers, but not materialistic; their dreams are more utopian and lofty. Few things bother a Sun Number 7 more than being in an environment of superficial lightweights and noisy extroverts. They know there is nothing to be found there but wasted time and energy. Often opinionated to a fault, 7s tend to have a handful of close friends, while everyone else is a stranger. Interestingly, while they tend to control, if not hide, their emotional side, many with a 7 Sun Number choose the fields of psychology and psychiatry. 7s are extremely curious and have a scholarly nature, but not a conventional one. In fact, there is very little conventional about a 7, as they are often more eccentric. Successful Sun Number 7s have learned to embrace their emotions. Not everything can be solved by the mind alone. In love, the Sun Number 7 is often a late bloomer. Its interests are mostly on the spiritual and intellectual planes, not so much the physical. So when a 7 finally falls in love, it doesn't really know how to handle it, and as a result, tends to try for a platonic relationship first. Fortunately, once the ice is broken and the physical side of the romance comes to life, the 7 proves to be a great lover, extremely giving and caring and focused on one thing and one thing only: the happiness of its partner. As with anything else the 7 tries, it will work on becoming the best, and the 7 is no different in romance. The 7 is very considerate and, a truly invaluable asset, conscious of the needs and expectations of its partner. The Sun Number 7 tends to fall in love much less often than any of the other numbers, but when it happens, it takes over and becomes its first and foremost priority. And who wouldn't want to play that role? If you are a 1, 3, 5, 6, 7 or 9, you have a chance of snaring the heart of a 7. Rather a large pool, but the 7 is worth some extra effort.